Often the onset of sore muscles is a really good thing, because it probably means you either got in a great workout or had a bunch of fun doing something new over the weekend. But that doesn’t make the experience of it any more fun, sore muscles can literally be a huge pain. When you’ve slightly over trained, be it from the weight room or dancing all night, here and some ways to deal. 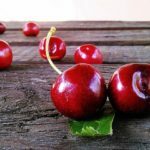 Tart cherry juice has been found to help reduce inflammation thanks to powerful levels of antioxidant called anthocyanins. Blueberries are another fruit with an extremely high antioxidant level, and drinking the concentrated juice of the fruit is usually a more practical way to get a high enough dose to make a difference. If you take workout supplements of protein that contain whey or milk however, be sure and spread out your consumption. Some studies have found that the proteins in milk can cut down on the antioxidant activity in the body. If you’re sore muscles are getting you down but you have intentions of getting back into the gym, drinking some coffee first might be able to help. Some studies have found that drinking coffee can cut workout pain by half, and that the caffeine might be more effective at relieving sore muscles than many common over the counter painkillers. If you’re sore immediately following exercise, treating the muscles to an ice pack can help to speed up the healing process and cut down on any further muscle damage. (A bag of frozen vegetables works great in a pinch.) Hot showers and baths are generally going to sound like a more relaxing option, but the hot water won’t initially help the healing as much as the ice will. Going to get a professional massage regularly isn’t in the cards for everyone, (although it would be ideal), but doing some self massage on your own can still help with sore muscles. When we get sore there are inflammatory chemicals hanging out in the body, and massaging muscles after a workout will provide the increase the blood flow to the area that is necessary to remove them. Working with a foam roller to do some Self-myofascial release is a great way to hit the trigger point that will increase the blood flow needed to repair and calm the muscles. There are quite a few different options when it comes to applying a cream or gel topically to reduce the pain of sore muscles. Some people swear by the herbal remedy Arinca for reduce pain and inflammation. Others find that menthol gels can help to reduce the feeling of muscle pain since it creates a cooling sensation on the skin that inhibits some of the pain signals from traveling to the brain. There are many different plant based antioxidants that might be helpful when applied directly to the skin as well as taken internally. Particularly powerful ones include the herb turmeric, the bromelain enzymes found in pineapple, and the resveratrol found in grape skins and red wine.